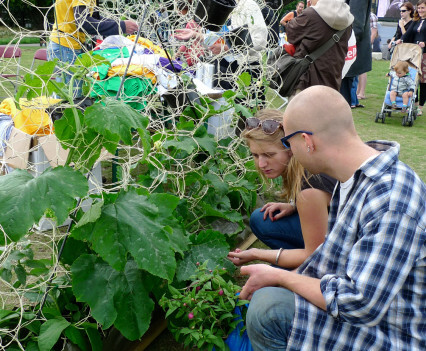 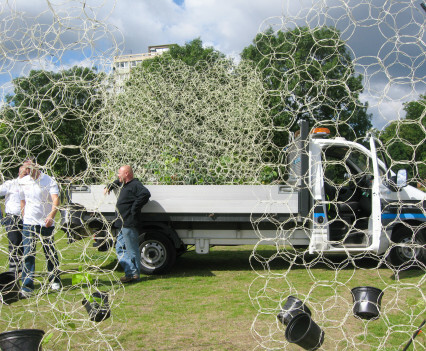 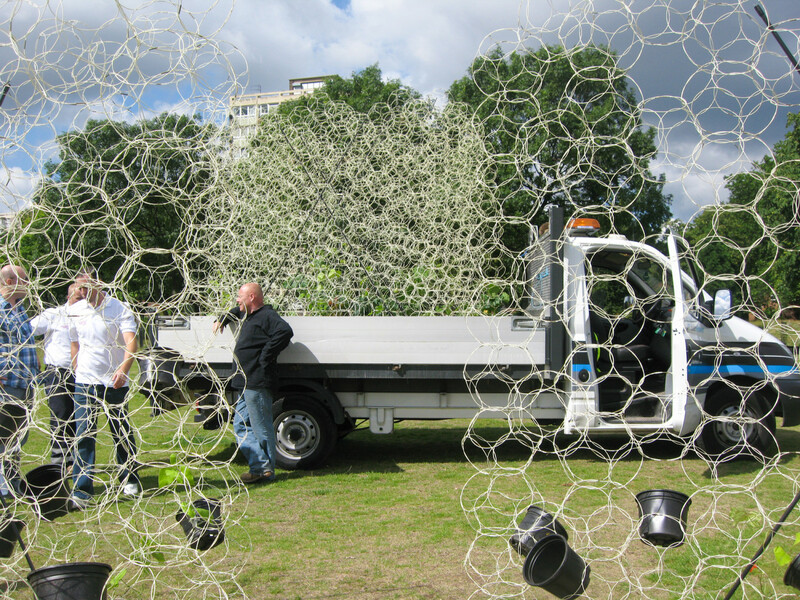 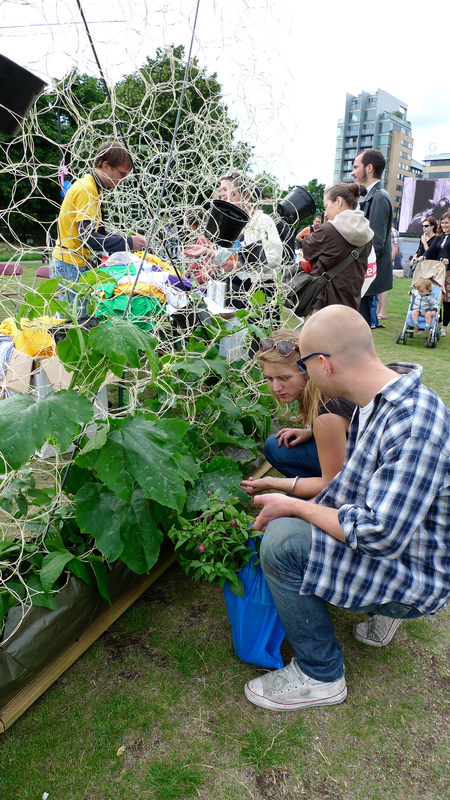 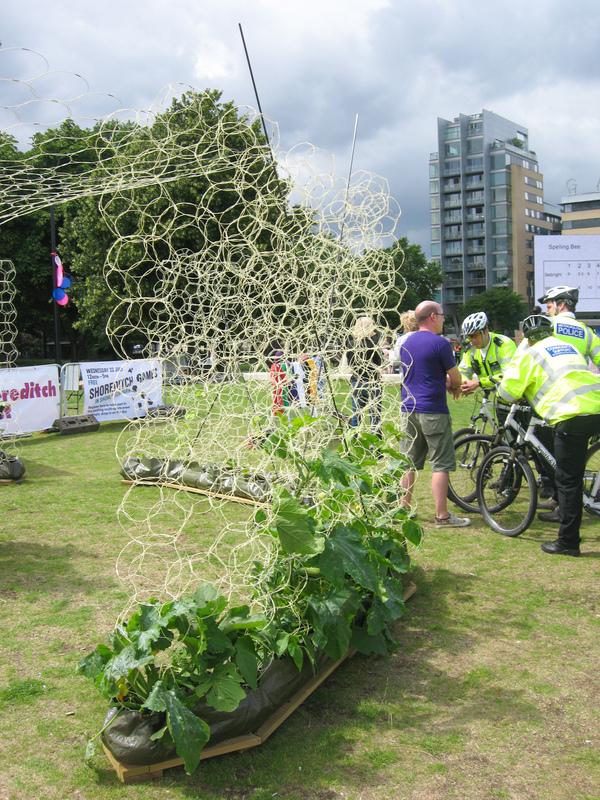 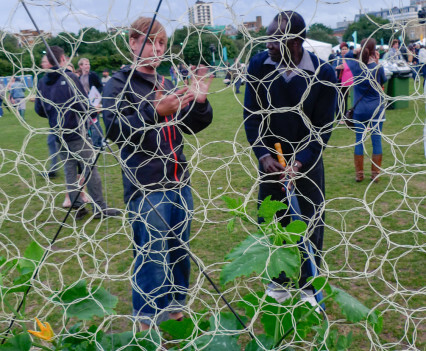 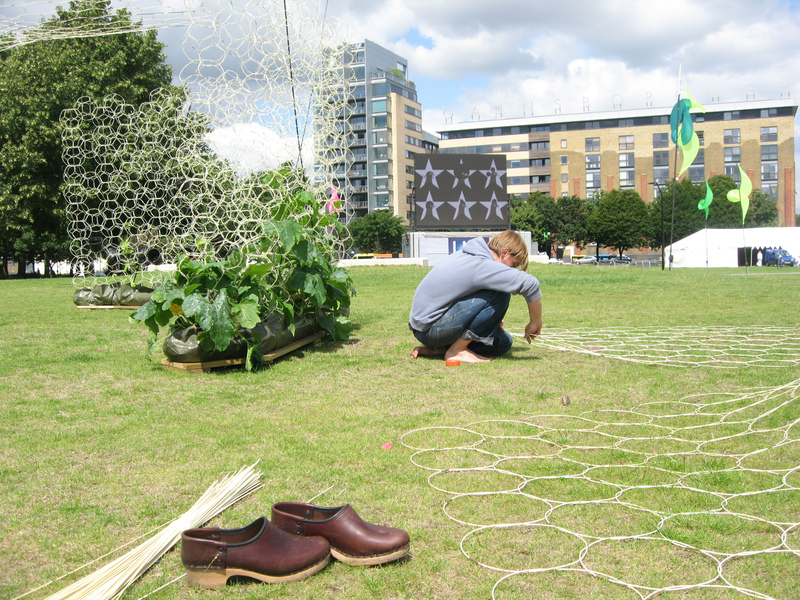 A living green pavilion with edible climbing plants designed for the Shoreditch Festival 2009 and sponsored by VolkerHighways. 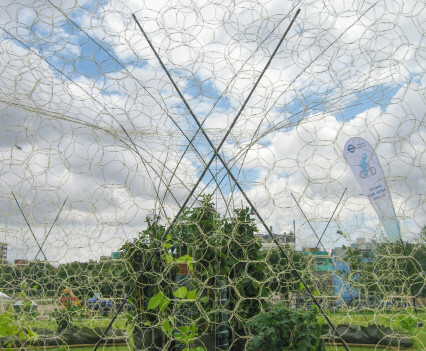 The open-frame pavilion was constructed from thousands of individually woven loops, a technique developed by the studio for over 10 years called Archilace. 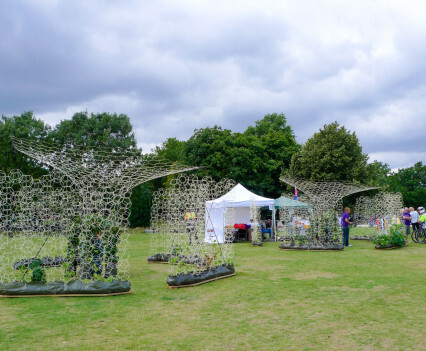 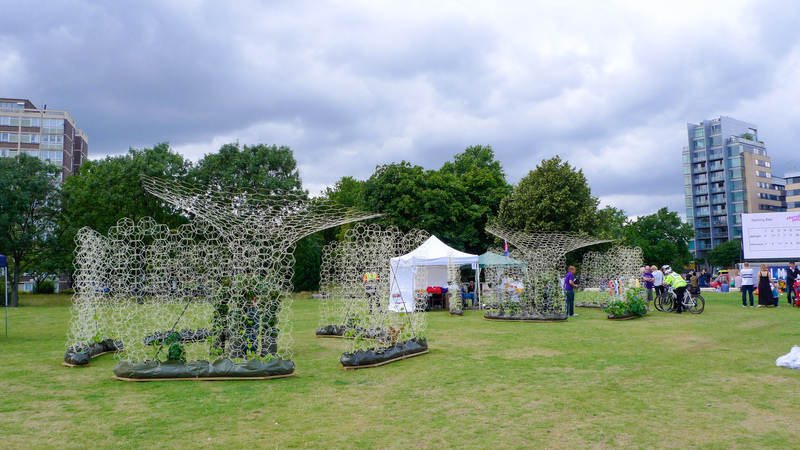 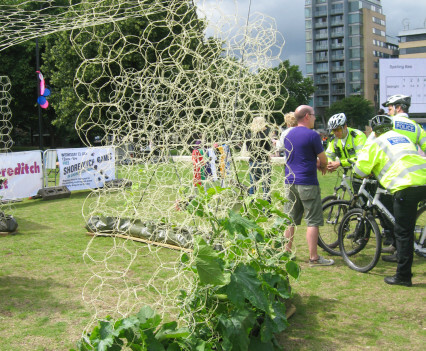 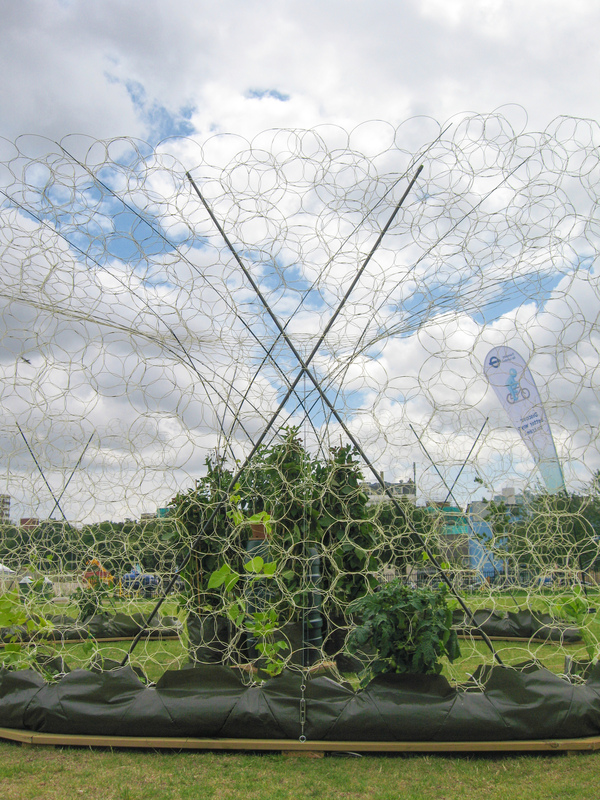 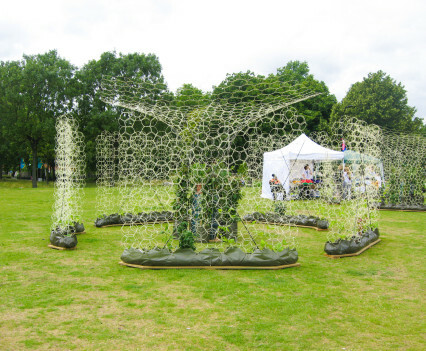 A living green pavilion with biological membranes designed for the Shoreditch Festival 2009. 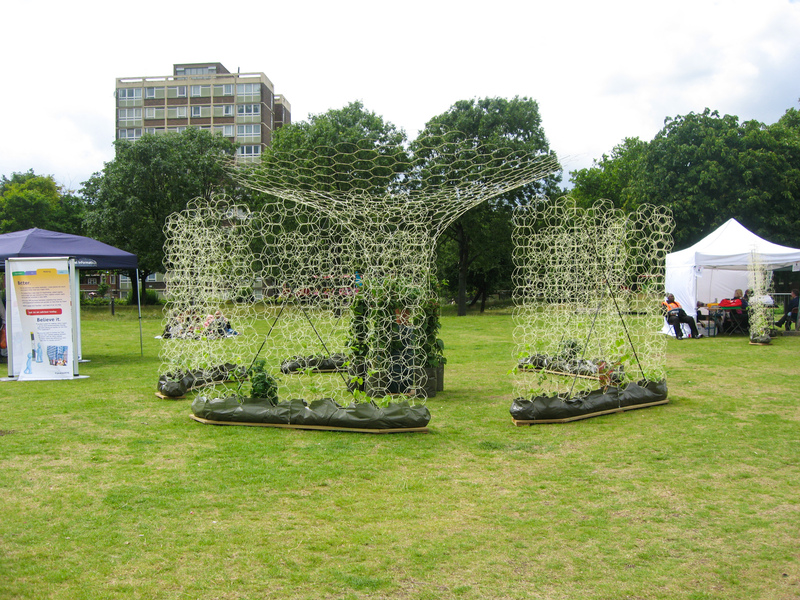 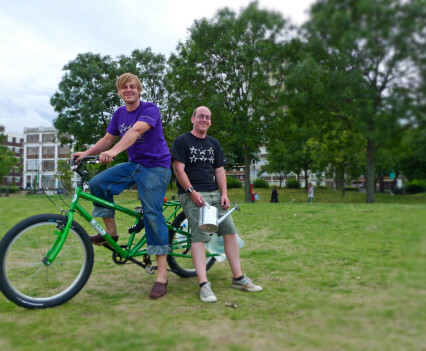 Commissioned and in collaboration with the Shoreditch Trust the award winning Festival hosted the first living green pavilion fabricated by local volunteers. 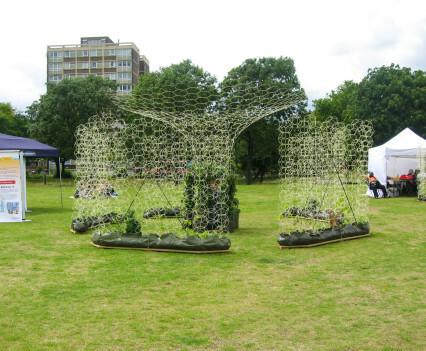 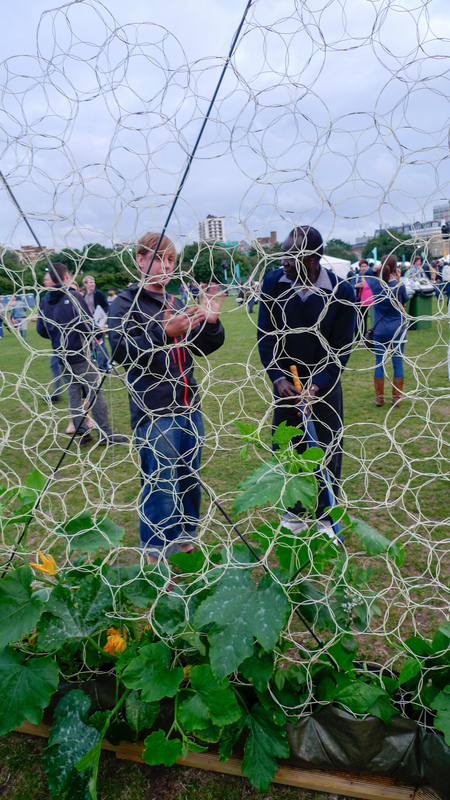 Food producing climbing plants started their life growing around a woven looped structure to create a temporary space and shelter. 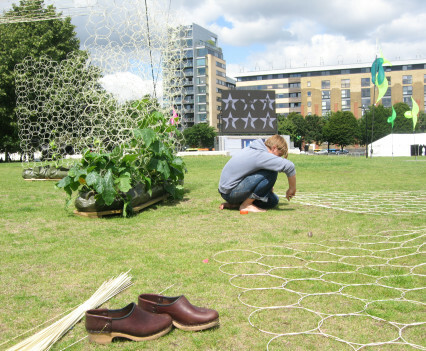 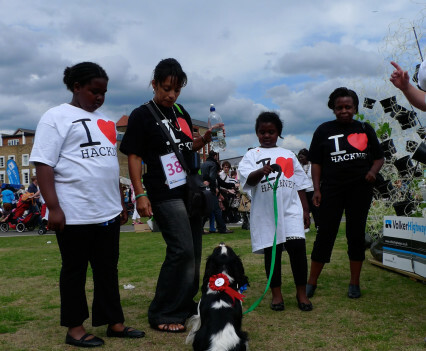 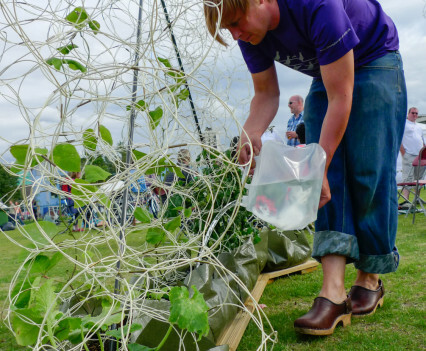 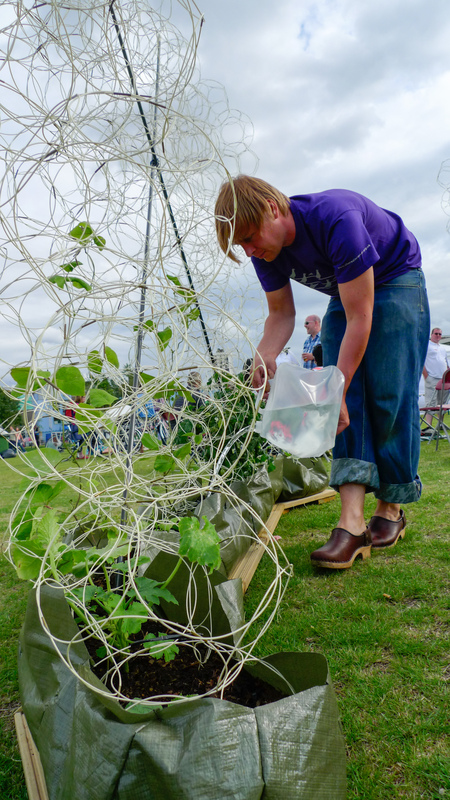 The festival space was later disassembled and planted in various urban sites such as local housing estates, restaurants and vacant lots as more permanent vertical gardens. 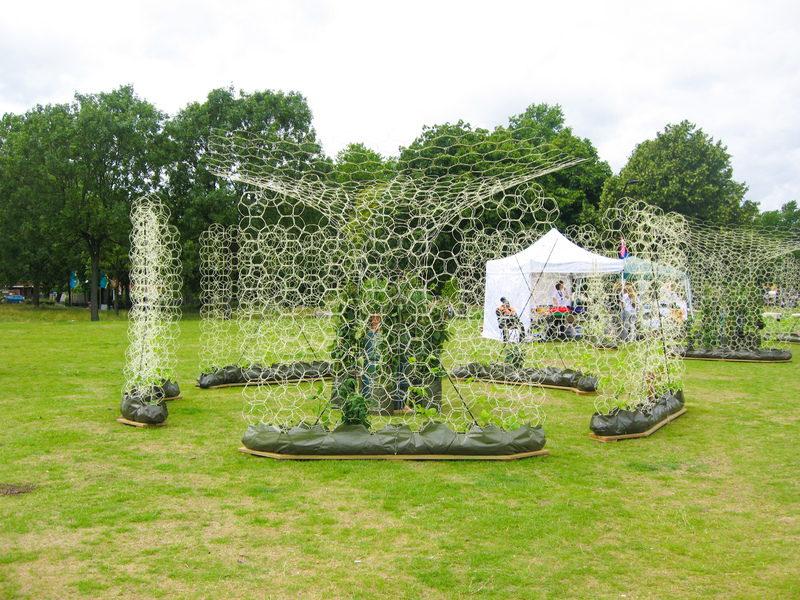 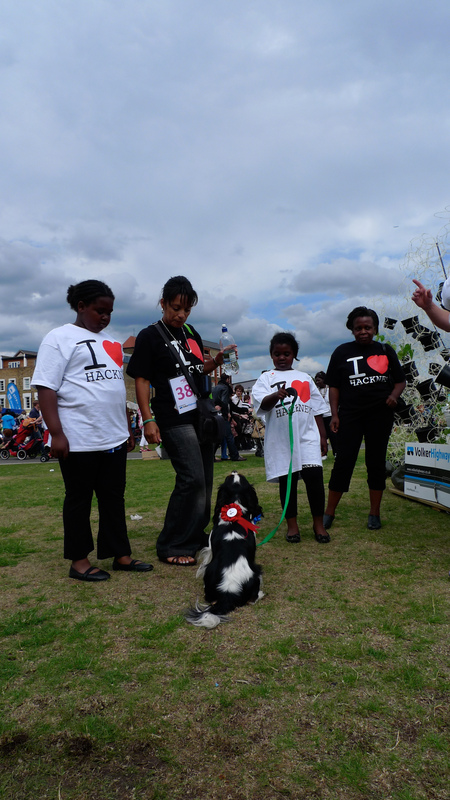 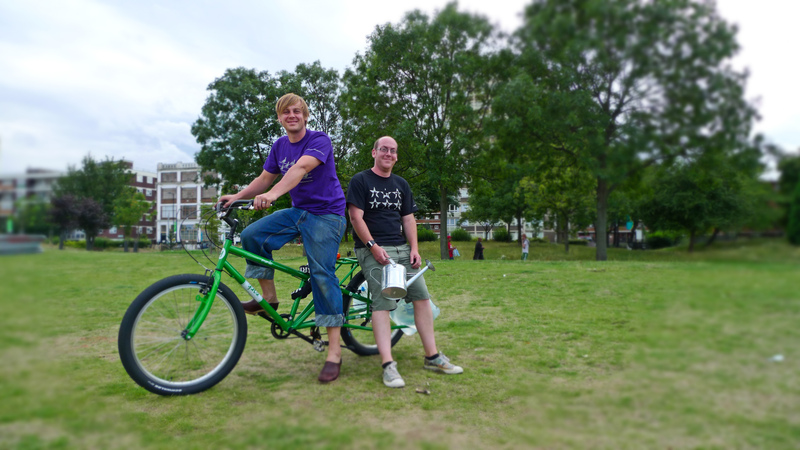 Share the post "Shoreditch Festival Pavilion"